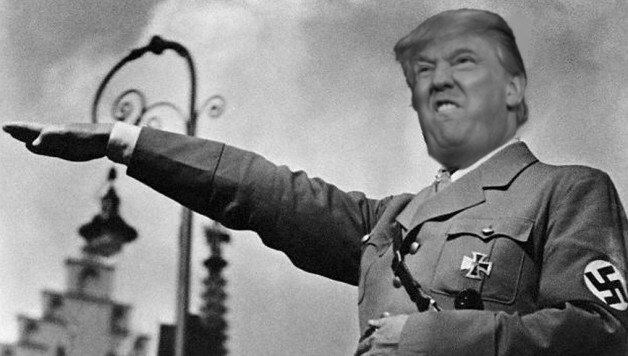 When liberals say that Donald Trump is like Hitler, what do they mean? Truthfully, they don’t know what they mean. Hell, they don’t even know that Hitler and the Nazis were socialists. The term Nazi was an acronym for “The National Socialist Worker’s Party.” Or, that fascism, contrary to popular myth, was really a variation of the same idea. Both were anti-free markets with powerful centralized governments, free healthcare, high taxes, etc.…. Once confronted with such info, however, they typically run to their favorite internet site and find a meme that says otherwise. The reason that the meme is their preferred method, is simple, it requires almost no thought. I recently watched a debate between a progressive and a conservative. The conservative pointed out that the democrats were the party of slavery, Jim Crow, and the Ku Klux Klan, to say nothing of the eugenics movement, which was foundational to Hitler’s “Final solution” regarding the Jews and other despised groups. The progressive had to agree that this was true. Because it was. That’s simply the fact. However, to get around it, he said that progressives and Conservatives had “Switched.” You see, back in the bad old days, the progressives were really the conservatives—and the conservatives were really the progressives. His supporters cheered loudly in response for this bit of wisdom because they knew they’d found their meme-sized answer. I guess, they switched, like that Disney movie “Freaky Friday” where a mother and daughter switch bodies. This makes Trump the latest example of this troubling trend of brain and body transference. So, let's look at the evidence; when Donald Trump says that Mexico isn’t sending us their best, that some are criminals, including rapists and murderers, he’s simply stating the facts. If you look carefully, he didn’t say that this represented ALL Mexicans, only some of those crossing the border. For instance, illegal aliens are 3.5% of the population but are 37% of all federal prisoners. Here is a further breakdown; “6.8 percent of drug trafficking cases, 20.0 percent of kidnapping/hostage taking, 74.1 percent of drug possession, 12.3 percent of money laundering, and 12.0 percent of murder convictions are committed by illegal aliens.” That is according to The U.S. Commission sentencing data. Similarly, according to the non-partisan Center for Immigration Studies, Mexican immigrants on average, are poorer, less educated, and are far more likely to use a variety of costly government services that are intended for American citizens. And, that their usage tends to be multigenerational. This will generally be followed by a joke about how Americans just want cheap nannies and gardeners, and what hypocrites we are, as the result. That’s right, in a time when there are fewer people working than any period in the last 37 years, lots of average Americans are employing nannies and chauffeurs on their sprawling estates. I have no doubt that Progressives have myriad other reasons why Trump is like Hitler. I also know that few if any of these talking points having really been thought through, even a little. ​Political ideology, like the most dogmatic religion, is seldom ever objectively considered. So, if you want to make a dent, you’d be best served by using a heavy object. If that fails, a meme will do just fine.